Looks like my username is no longer valid! I traded in my 2014 XL Supercab 3.5EB on a new 2018 XLT Supercrew 5.0. Pretty thrilled with the purchase so far. Luckily I found the EXACT same truck I'd often built on Fords website sitting on a lot. Silver Supercrew XLT, 5.0 V8, FX4, LT275/65R18 AT Tires, Tow Package, Pro Trailer backup assist, 36 Gal tank, XLT Chrome Appearance. 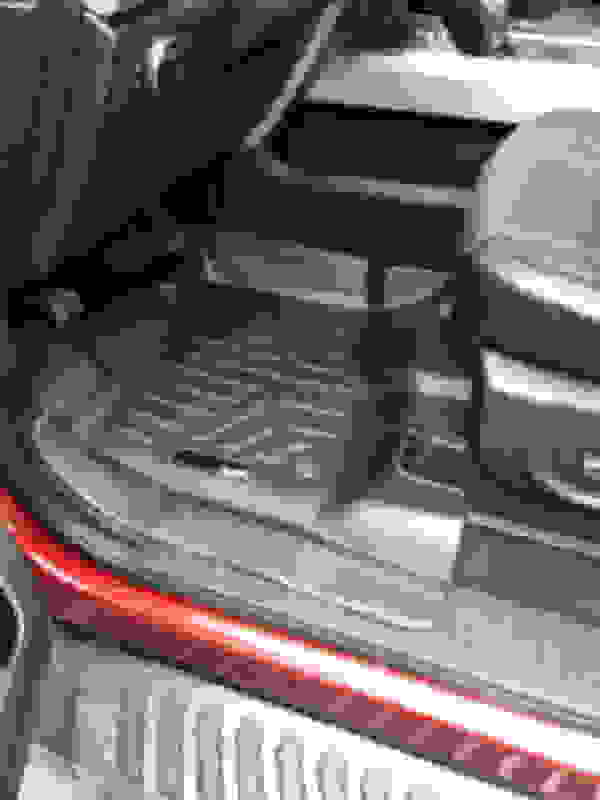 First purchase is going to be rubber floor mats, hopefully offset that feeling I have from missing my vinyl XL floors. They were so awesome when getting in the truck with muddy boots. Super easy to clean. Congratulations on the new truck. I'm sure you will enjoy it. With the 5.0 Coyote engine a Borla Exhaust would be a great upgrade. Congratulations! You better post some pictures. I've got some floor mats on the way, decided to try out the SMARTLINER brand that covers the transmission tunnel. Dealership has me scheduled for Thursday to get my front Tint and Line-X bedliner sprayed in. I'm currently deciding if i want to go with a hard bed-cover, or go all in with a camper shell. I'm a bit worried about lost bed space due to moving from a larger bed in my 2014 to shorter bed in the new one. Reading over some threads it looks like some folks are having problems with oil levels. Confirmed this morning that mine is almost exactly on the max fill line on the dipstick. I did notice that the dipstick is a bit weird feeling pushing back into the engine. Almost like there is resistance compared to other engines I've maintained. Anyone else notice that? I decided on maxliner floor mats. I'm pretty happy with them for having saved ~$100 over the weathertechs. I got the ones that go over the front transmission hump. Not concerned with missing my XL's vinyl floors anymore. LineX bedliner was sprayed in and tint for fronts. Still nasty rainy weather so no cleaned up pictures yet. Planning on checking out camper tops this weekend, which might be my last 'mod' for a while. I was able to swap over my 2014's 8 year 100K warranty for right at $200, figured with some of these concerns I'm reading on the 2018 5.0's its worth it for peace of mind. What is your gear ratio? congrats on the new ride! It's a lesson on why user names in vehicle forums shouldn't be based on a particular model or year. No worries....quite a few of us have done it!